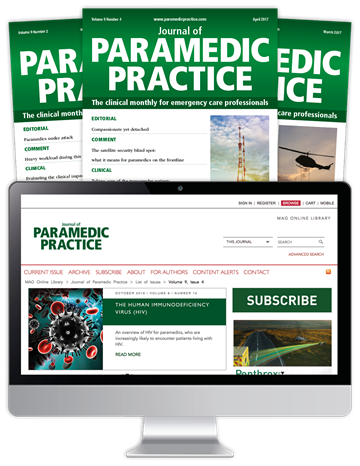 Journal of Paramedic Practice is the monthly journal dedicated to best practice in pre-hospital care, and an official partner of the Association of Air Ambulances. We aim to help readers grow professionally, so they can improve outcomes for critically injured trauma patients. 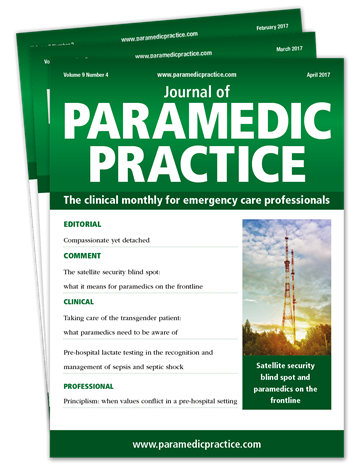 Members of the Association of Air Ambulances are entitled to a 25% discount on their subscription to Journal of Paramedic Practice. Select your subscription option below, and enter code AAA25 at the checkout to claim this membership benefit. 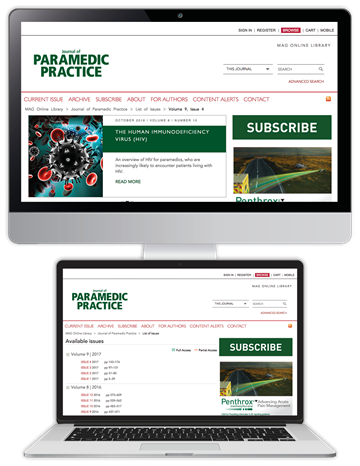 *CPD modules only available through an Online or Print + Online subscription.